JLL has released its Q2 2018 office market research which highlights positive trends for Sydney, Melbourne and Perth CBD office markets, in terms of vacancy rates, absorption an rents. JLL’s research showed positive net absorption of 90,000 sqm over the quarter and 197,400 sqm over the 2017/18 financial year. The national CBD office market vacancy rate compressed in 2Q18 (9.4%) – a reduction of 1.5 percentage points over the 2017/18 financial year. JLL Head of Research – Australia, Andrew Ballantyne said, “The S&P/ASX 200 has followed an upward trajectory since early 2016 and measures of business confidence show that corporate Australia is relatively positive about the medium-term revenue and profitability outlook. “Sydney and Melbourne are more sensitive to financial markets and posted very strong net absorption results in 2Q18. However, the leasing market we are watching very closely is Perth with net absorption double the historical average over the 2017/18 financial year,” said Mr Ballantyne. The Sydney CBD recorded 51,100 sqm of net absorption and a reduction in vacancy to 4.5% in 2Q18 (from 5.5% in Q1). Low vacancy continues to exert upward pressure on Sydney CBD rents. Prime gross effective rents increased by 1.6% over the quarter and by 12.5% over the 2017/18 financial year. The Melbourne CBD recorded 41,900 sqm of net absorption and 113,600 sqm over the 2017/18 financial year. The Melbourne CBD vacancy rate tightened from 5.4% in 1Q18 to 4.6% in 2Q18 – the lowest level since Q3 2008. Melbourne CBD prime gross effective rents increased by 2.7% over 2Q18 and by 10.7% over the 2017/18 financial year. Mr Ballantyne said, “The strength of the Victorian economy is reflected in leasing enquiry and activity. Professional services firms are in expansion mode, flexible space providers are growing their footprint and we continue to see a number of organisations centralise operations into the Melbourne CBD. “While we are seeing some organisations relocate operations to the Melbourne CBD, the metro markets are performing strongly with vacancy tightening and effective rental growth comparable to the CBD,” said Mr Ballantyne. Balancing this viewpoint earlier this month, veteran property executive Michael Cook, from Investa, said he was “nervous” that Melbourne’s recent outstanding rates of absorption of around 75,000-100,000 square metres annually may not continue. “We forecast vacancy rates in Melbourne could rise to as high as 10 per cent, leading to upwards pressure on incentives and downwards pressure on rents,” Mr Cook said. 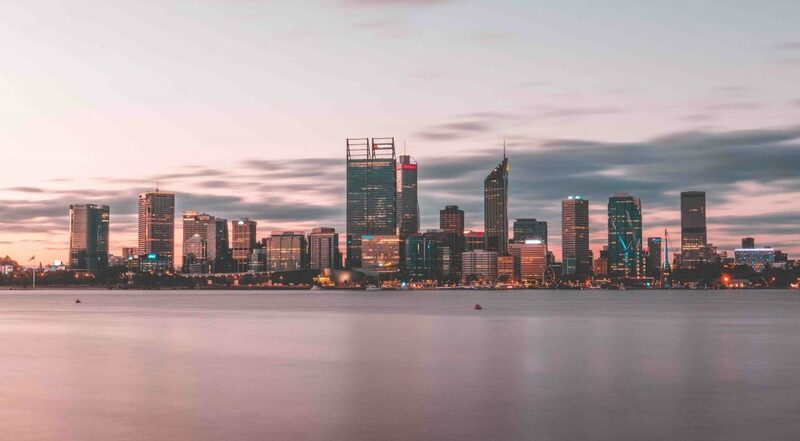 The Perth CBD recorded net absorption of 8,700 sqm in 2Q18 and 32,500 sqm over the 2017/18 financial year. Vacancy trended lower in 2Q18 (20.9%) and is now at the lowest level since 3Q15. However, a widening divergence is becoming apparent between prime (16.2%) and secondary (27.6%) grade vacancy. The Brisbane CBD recorded negative net absorption in 2Q18 (-10,500 sqm) and vacancy increased to 14.4%. The negative result was a direct result Aurizon moving into a new development in Fortitude Valley. Meanwhile, the Adelaide CBD vacancy rate is sitting at 15.1%, with the prime grade vacancy rate tightening to 10.6% in 2Q18. Canberra’s vacancy increased to 13.4%, with the prime grade vacancy rate remaining very tight at 5.7% with upward pressure on rents.